The House of Peroni returns to the streets of London this March, for a 4 day pop-up residency in Soho, from 15th-18th March 2017. 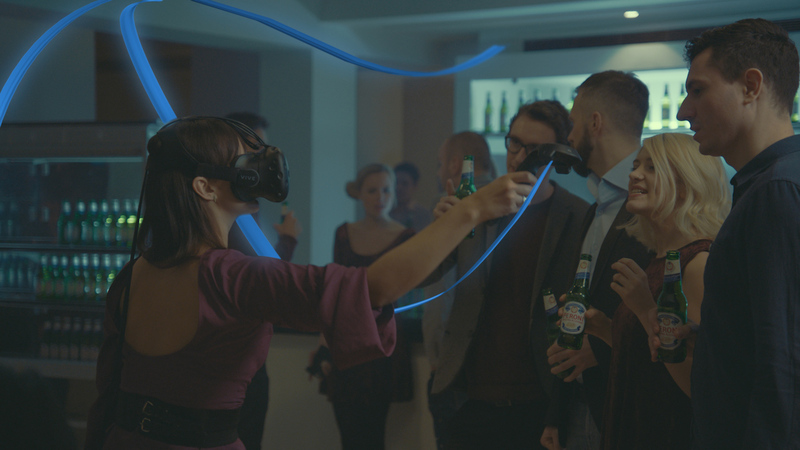 Inviting Londoners to experience art like never before, Peroni have mixologist Simone Caporale and chef Francesco Mazzei taking care of food and drink, alongside an art exhibition from rising Italian artists and some virtual reality! “Italians have always sought to push the boundaries to create something unique – from the pioneering Renaissance art movement that placed Italy as the capital of the world’s art scene, through to Carlo Peroni, who in 1963 was inspired to craft the first premium Italian beer. The House will open its doors in London’s bustling Soho (147 Wardour Street, London, W1F 8WD) for a special four day event from Wednesday 15th – Saturday 18th March that will allow guests to immerse themselves in a virtual world that blends art and technology. Peroni Nastro Azzurro has teamed up with Beautiful Crime Agency and three featured artists to bring a one of a kind art experience to London. Priced at £20 each, the ticket will provide guests with access to an exclusive virtual reality art experience that will see them step inside a piece of art, before exploring their own artistic creativity using innovative technology from Tilt Brush by Google. The three artists have created works around the theme of ‘craftsmanship’– a quality inherent to Peroni Nastro Azzurro. Within each 50 minute session, the artist will enable guests to step inside and explore their work using the Tilt Brush technology and give a demonstration on how to use it. Guests will then be given the freedom to experiment and explore their own artistic talent, under the guidance of an expert. Within the ticket price, all participants will receive a complimentary Peroni Nastro Azzurro or infusion from the menu, as well as a signed print from their artist host and a digital keepsake of their own artwork sent to them to share on social media. Italian artist Fabio Giampietro (2016 winner of the prestigious Lumen Prize for digital art) will host two evenings at the upcoming House. He has drawn on his early childhood memories with his carpenter uncle and blended this with his love of the ‘Futurismo’ art movement of the early 20th century. Brit artist Carne Griffiths found his inspiration from his 12 years as an embroidery designer, from which came a real fascination with the creation and manipulation of the drawn line. Similarly, Italian artist Peeta, our final artist in residence, has looked to his own heritage and experience in the art world to bring his work to life – using Venetian ‘Murano’ glassware as his muse. The upper gallery floor will play host to a bar and aperitivo area where guests can enjoy an evening with friends over a Peroni Nastro Azzurro, an infusion and a selection of antipasti, all against a backdrop of works from our resident artists. Following the rousing success of chef Francesco Mazzei’s Calabrian inspired menus from the 2016 Residency, he is returning to the role of ‘Master of Taste’ where he will blend his innovative cooking style with his Southern Italian heritage to bring the rich ingredients of his homeland to life. Francesco’s simple yet vibrant antipasti platter will provide the perfect accompaniment to any aperitivo occasion. Guests will be taken on a journey through some of Italy’s finest meats as they explore each section of the platter – nduja mixed with ricotta and chives, salami and cured smoked duck with beetroot puree, all accompanied by a range of Italian breads and a selection of cheeses. The vegetarian plate will bring together charcoal grilled aubergine with soft boiled quail’s egg, polenta with a rich mushroom mousse, crostini with roasted peppers and quinoa, a pulse pate of raw vegetables and a creamy bocconcini with fresh tomato. 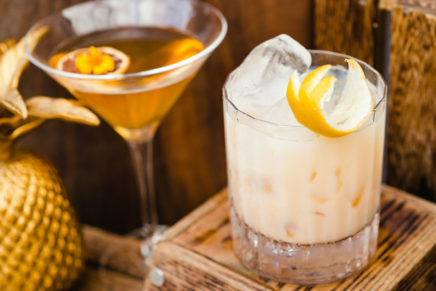 Similarly, award winning ‘Master of Mixology’, Simone Caporale will return for a third year to bring his inimitable style of cocktail mastery to the infusion menu. With gin, Peroni Nastro Azzurro and sweet, spring-like citrus notes, the Oro Liquido liquid gold serve glows bright from the menu and is joined by L’Astratto – a long, more bitter serve featuring flavoured, coloured ice cubes. A fragrant take on the traditional Bellini, the Peroni Peony will feature crisp white peach, grape, peony and magnolia flowers. Finally, the classic Peroni Negroni will also re-join the menu for another year.